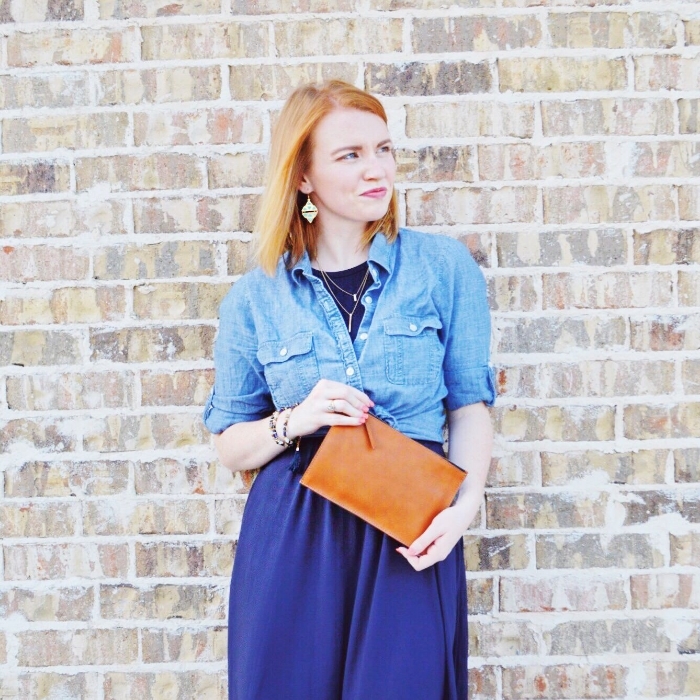 Madewell Transport Tote + Clutch Giveaway! Relaunching and rebranding my blog has been one of the most intense processes. As I did an audit on what was successful and what wasn't on The Everyday Elegance, I quickly realised that a lot of what I was doing just wasn't working. So now that I feel like I've created and established a system that will work, I felt it was time to celebrate! I announced my hiatus and rebrand around the time of my blogiversary, so I wanted to celebrate not only that, but also to share what all I've been working on! The Madewell Transport Tote is easily my favorite tote on the market right now. It's the perfect size, sturdy, and honestly, it's made well (aptly named, I know!). 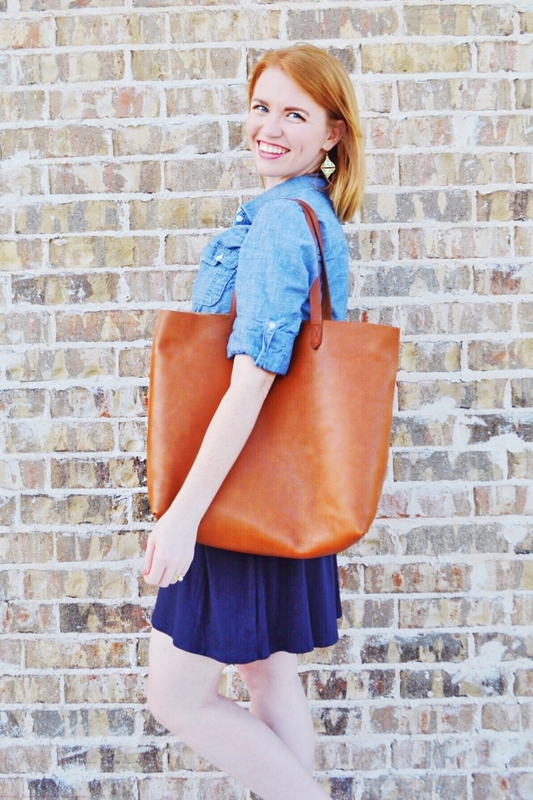 Also, if anyone else loves the smell of leather as much as I do, you'll love this tote. However, I wanted to add a little something extra. 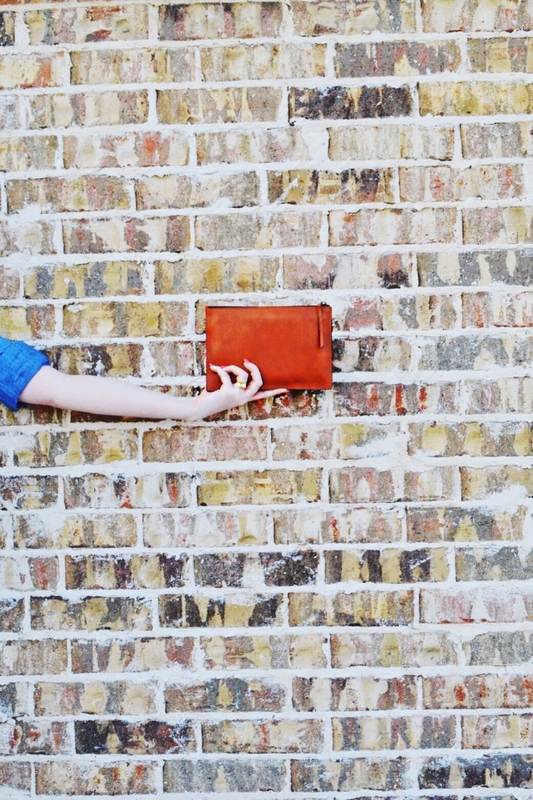 This clutch is the coolest one I've seen in awhile. It fits pretty much everything you'd need for a night out, and acts as a wallet. Part of minimalism is about finding multiple ways to wear/use things, and having this as a wallet/clutch is an awesome idea. So, as a celebration for the launch of Minimalista.co, I'm giving away a Madewell Transport Tote and a clutch to ONE lucky reader! TO ENTER, USE THE GLEAM WIDGET BELOW! This giveaway will close July 19, 2016 at 11:59 PM. One winner will receive a Madewell Transport Tote valued at (valued at $168) and a Madewell Zip Pouch Clutch (valued at $49.50) in the color English Saddle. This competition is open to US residents aged 18 and older. Entrants must log in via Gleam and enter their email address. This is the ONLY mandatory task. You can gain extra entries in the draw by completing the other 5 tasks listed in the Gleam widget. This winner will be generated by Gleam Giveaways at random. The Winner will be informed via email within 7 days of the closing day and must respond within 7 days to claim their prize. The prize will be delivered to the Winner within the agreed timescale between Minimalista.co and the Winner.